Tim Wallace: 2011 - What a year! 2011 - What a year! As 2011 comes to close we would like to take the opportunity to wish all our colleagues and clients a very merry Christmas and a very happy new year, 2011 has been an amazing year filled with challenges and opportunities and we look forward to the new year with all that it will bring. of the Year award and the UK Motor Industry Photographer of the Year which was both a great honour and an amazing success that pays testament to Tim's hard work and devotion to his passion as a photographer. 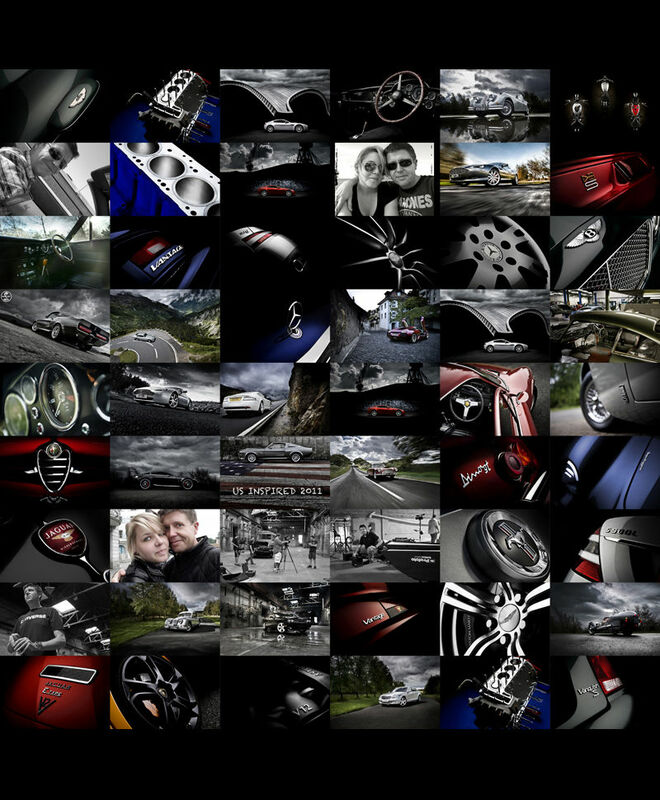 We have seen more new clients come on board with Ambient Life this year as our client family grows and reaches now as far as China and the US with Tim working in the UK with Scott Kelby earlier this year also to create four unique training films as well as shooting some work with some amazing American based cars such as Dodge and Mustang. Our work with Aston Martin has gone from strength to strength and the recent 2012 Aston Martin Calendar has been a sell out with reviews that it is the best yet. "the journey from A to B and the chance of arriving at C"
All in all 2011 was a year of change for us and a year that we looked at our direction and made some very hard decisions, life does not wait for you and in these difficult times of business throughout the world we hope that we have taken another few steps solidly forward and will continue on our journey of both creativity and passion in what we do. so do something worth remembering"